As encore to the success of Ragamuf, the rechristened Ragmate looks toward sustainability. 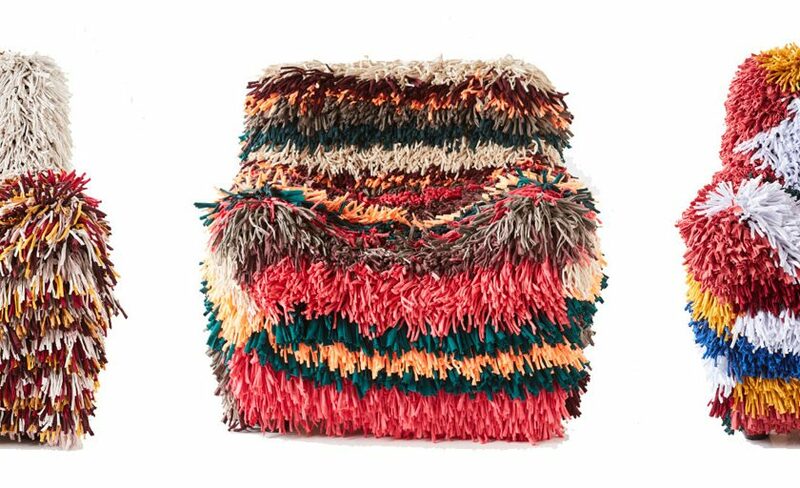 While the Ragmate Collection of cushion (toss pillow) covers, throw rugs, floor rugs and wall rugs possesses the same endearing shaggy texture as the original Ragamuf, the technique of manufacture differs. Instead of being handknotted to a stretchy substrate – as was the process for the Ragamufs designed by Finnish designer Tuula Pöyhönen – Ragmates are instead knotted to a stable net, which is a ‘very old and common technique, at least in Finland’ according to Leskelä. 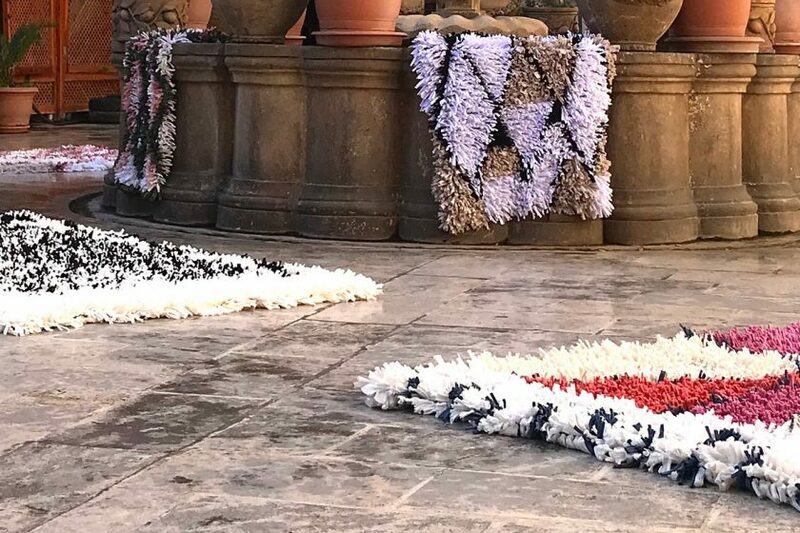 Utilizing waste textiles from the fashion industry, Ragmate is the realization of the long-held dream of Leskelä and the result of her endeavours to help those in need. ‘I want to use my skills and expertise so that as many female refugees as possible will have the chance to improve their condition to survive in their lives.’ Each individual and unique Ragmate (no two are the same) bears attribution for the Syrian refugee who handknotted it and in some instances even offers inspirational thoughts from the same. Serendipity is a ‘fortunate happenstance’ or ‘pleasant surprise’; the term was coined by Horace Walpole in 1754. In a letter he wrote to a friend, Walpole explained an unexpected discovery he had made by reference to a Persian fairy tale, The Three Princes of Serendip. The princes, he told his correspondent, were ‘always making discoveries, by accidents and sagacity, of things which they were not in quest of.’, at least according to Wikipedia. And so it is quite serendipitous that the vast and mostly borderless internet happened to introduce me to the Ragamuf. What the heck is a ‘Ragamuf’ you ask? Well, let me tell you.